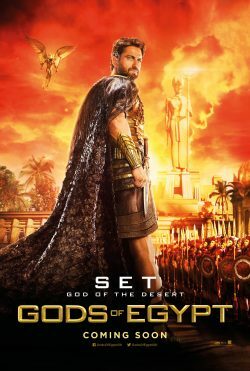 With Snake Plissken fighting the Gods f Egypt, we have the first trailer for the film. It harks back to the glory days of this sort of genre of film. How will it do against other films of the ilk? Probably not as good as them. Well, that what I think. Not only that, we also get a set of character posters for the film. They show the 3 main characters. 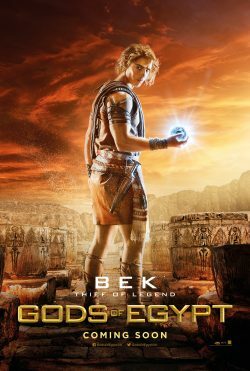 Bek, Set and Horus. What do they show. Apart form all Egyptian gods, and people of Egypt, are white with American sounding accents. Not that much! The survival of mankind hangs in the balance as an unexpected mortal hero Bek undertakes a thrilling journey to save the world. 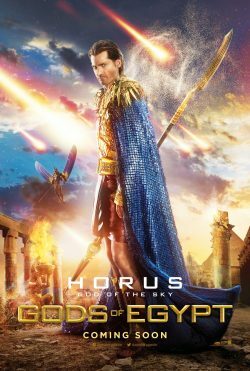 In order to succeed, he must enlist the help of the powerful and vengeful god Horus in an unlikely alliance against Set, the merciless god of darkness, who has usurped Egypt’s throne, plunging the once peaceful and prosperous empire into chaos and conflict.